If you are interested in pursuing the Path of Qigong - then this chart outlines the programs to take and in which order. Note that you have to take ALL programs in the order indicated. There are no(!) exceptions under any circumstance. We also don not have fixed places for programs or "dojos", nor do we have residential teachers - please consult our PROGRAM SCHEDULE where and when programs take place. So please consult the chart and plan your levels and intensives well. You can bridge between Europe (Dechen Choling and Poland) and USA (Karme Choling and Sky Lake Lodge). The Wudangshan Five Animals Long Forms in Dechen Choling (France) in March 31- April 4, 2020. Qigong for Spinal Health (Krakow Poland) in October 2020. Level 6 in Dechen Choling (France) in April 10-16, 2021. Wudangshan qigong is known for its effectiveness in training the muscular-skeletal system. Enhanced articulation of joints, elasticity of tendons and, ligaments, strength of bones, and sophisticated movement of the spine - are the results of a qigong based on the Wudang martial arts tradition. The key to Wudangshan training lies in using the 5 Animals Forms for cross-training purposes. The tiger’s strength in the bones trains the mobility of the spine of the dragon. The spinal movement of the dragon trains the tendons of the leopard. The tendons of the leopard trains the lateral movement of the spine in the snake. Training in the tiger, dragon, leopard, and snake culminates in the crane, where bones, tendons, and spine are used jointly to channel qi to the top of the head. In this program, participants will learn how to use the Wudangshan Five Animals to build a foundation for cultivating physical health that is necessary for the circulation of internal energy and the practice of the martial arts. What is the Mysterious Female? It is the Tao, the Dark Womb, and the source of all that is born and unborn. This source is the primordial qi, the vapor of life. In birth, we emerge from the Mysterious Female, in life we are nourished by her, and in death we return to her embrace. Central to the practice of Qigong, the Taoist art of health and longevity, is the cultivation of this life-giving energy. Connecting to the breath which carries qi, clearing the meridians, strengthening the physical body, and resting in the stillness of the Womb are the key to living a healthy and virtuous life. The feminine in the Dao is manifested in the nourishing quality of the qi, while the feminine in the Buddhist tradition is manifested as the love and compassion of Tara and the spacious wisdom of Prajnaparamita. September 22-27 (2019) - Karme Chöling. VT. USA. The program will have a unique addition that it will feature the use of Sunzi's Art of War in strategizing meditation practice. Seeds fall on the ground. Saplings grow into trees. Trees leaf, flowers bloom, and the forest grows. Through endless cycles of time, old growth is replaced by new, and the journey begins once again. The path through the forest is a pathway of wisdom. As we walk in the forest, we witness birth, growth, death, and renewal. In the magic of the forest, we see the seasons change; we mingle with the interplay of shadows and light; we bathe in the gentle sunlight dancing through the branches; and we dream in the primal darkness and wildness of the wood. Enter the Taoist and Druid traditions of forest wisdom with Eva Wong as wanderer, gatherer, warden, and witness. Meditate in the woods, listen to the messages of leaf, branch, root, water, and stone, and walk the Chinese and Welsh calendars in your journey through the forest. Climb your body’s tree of qi, rising from the energy of the roots through the trunk up to the crown. Discover and witness the balance, bounty, beauty, and power of the forest in the magical environment of Sky Lake Meditation Center. Eva Wong is a life-long practitioner of several lineages of Taoism. She also holds the rank of “bard” in the Welsh Druid tradition. No programs offered at the moment. 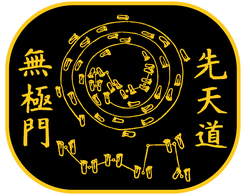 Seven Stars Taoist Training offers a range of programs and books on health and living according to Taoist principles. Seven Stars Taoist Training works closely with Shambhala, many programs are offered at Shambhala centers only. Contents are copyright of Eva Wong. For any questions: please use our contact page.